features a brilliant 800H x 480V, 5" 256 color display with backlight. Down Imaging and DualBeam PLUS sonar with 4000 watts PTP power output. 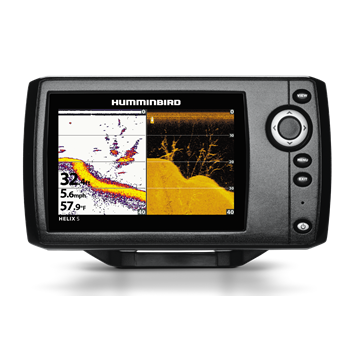 Maximize your angling experience with the Humminbird HELIX 5 DI fishfinder system.